My current obsessions in my wardrobe are three accessories, usually it would be a piece of clothing but not this time. I am so incredibly happy with my YSL wallet that I bought from Japan, I have wanted a YSL wallet or clutch for sometime. I thrifted this item at a pretty penny too!The minute I saw these powder blue leather suede block heel, pumps from Zara, I knew they had to come home with me! They're complete leather and I couldn't resist the colour of these kicks, perfectly cute and feminine. Charles & Keith stole my heart a couple of years ago when I went to Singapore, ever since then I have always been following their collections. 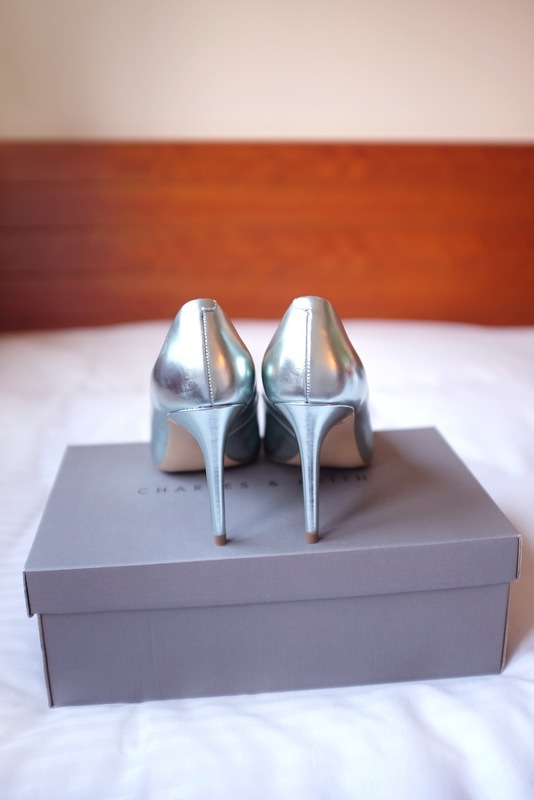 I purchased these metallic pointed, pumps and can't wait to style these with all my outfits. The hint of green can be seen in certain lighting, I can't resist a good pair of pointed points! Which is your favourite purchase for May?